As a drummer, you probably already know how hectic handling a drum kit can be. With that many components, cymbals, stands, toms and everything else, you can soon find yourself overwhelmed and out of space. This can also be an argument towards purchasing an electronic drum kit﻿﻿﻿ rather than a large acoustic kit. If you're really short on space you can also have a look at the increasingly popul﻿a﻿﻿﻿﻿r midi drum kits﻿﻿. In order to get the most out of a drum kit, each and every part of it should be carefully chosen and combined with the rest. Hi-hat cymbals are something you’re going to use very often, if not as a part of pretty much every beat you play. Finding the right one can be hard, especially with a wide range of different models on the market. 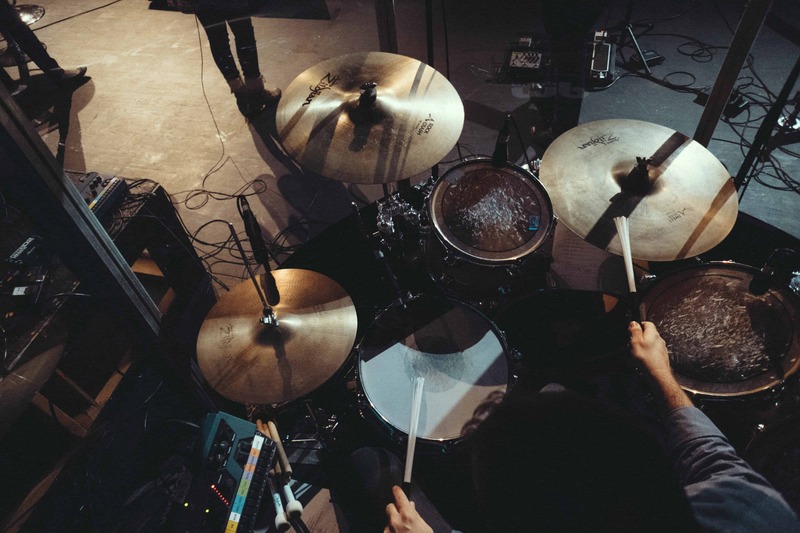 That’s why we’ve decided to help by addressing the most important specs and features a good hi-hat should have, as well as by presenting our pick of the 5 best hi-hats out there. 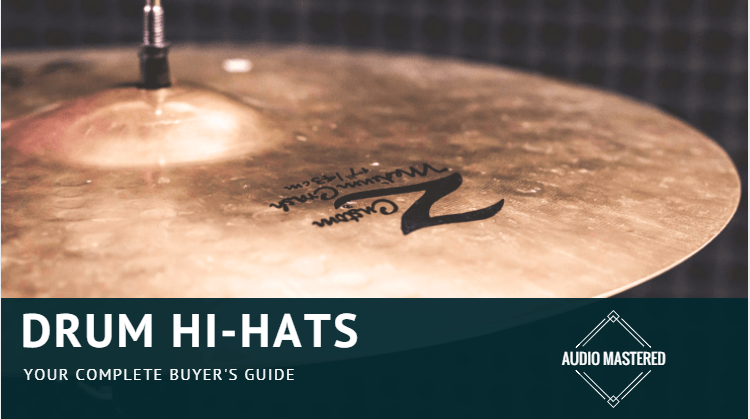 Unlike other cymbals, hi-hats are pretty much standardized when it comes to their size. Most companies manufacture 13 or 14-inch hi-hats. 13-inch hi-hats sound a bit brighter and tend to be louder. On the other hand, 14-inch hi-hats lack some volume when compared to the slightly smaller 13-inch ones, but compensate with richer and more present sound. Think about the type of music you play the most, and what you prefer when it comes to the sound of this cymbal. Most hi-hat cymbals are designed so that the top one is a bit thinner than the bottom one. This is done to provide the drummer with a more crisp and bright sound. Some companies make wavy bottom cymbals in order to give it that extra slap on the top one when they collide. Cymbals take a lot of beating. No matter how much you take care of them, they are bound to crack and break at some point. Of course, some are more durable than others. Different metal alloys and combinations give different properties to cymbals, both quality, and sound- wise. Your best bet at finding the most durable hi-hat cymbal is by doing exactly this - reading reviews. Companies tend to praise their products as rock solid and unbreakable when in reality they don’t perform that well. Do your research, read user reviews, and ask some friends that play the drums as well if you can. Like we’ve mentioned before, instruments and related gear can come with very different price tags. As you may have guessed yourself, the cheaper cymbals usually don’t last very long. If you’re a beginner, getting a cheaper one can seem as a good option, but have in mind that the way you’re hitting the cymbals has a great impact on their lifespan. Make sure you’ve got the technique right and you’re bound to see a dramatic improvement in durability. At the end of the day, it’s better to wait, save up some more money, and invest in a higher quality hi hat cymbal. 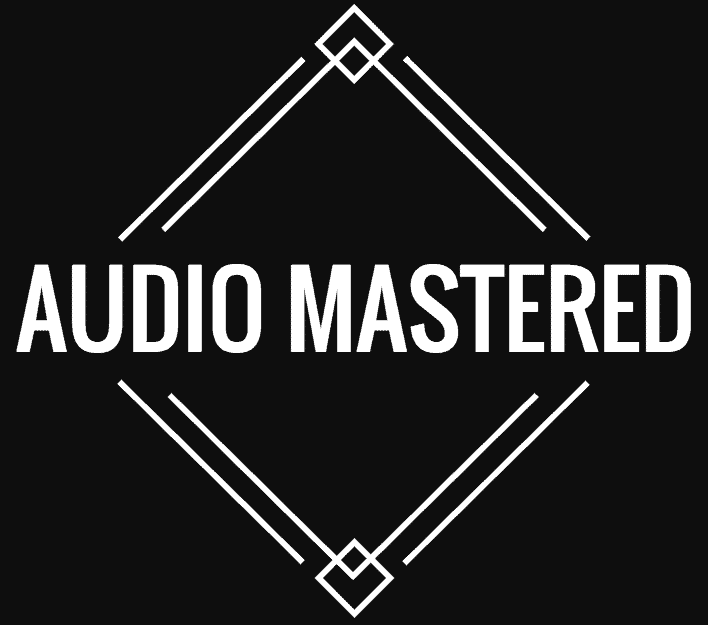 Not only will you get better sound, but you won’t have to replace it anytime soon. Although CB Drums may not be the most popular brand out there, they definitely have great products to offer. Do have in mind that this is a junior hi-hat. We’ve decided to include it on our list as it is perfect for kids taking up drums, or even older musicians that need a smaller kit to practice on, in their apartment or any other circumstance when space is limited. The best thing about this set is that you get both the cymbals and the stand, for just around $50. The tension could be better, and the sound this cymbal provides is decent. But then again, at this price point, you can’t really expect anything more. CRISP SOUNDING, VERSATILE AND DURABLE HIHATS: When played closed together, the 13" HCS hihats have a crisp "chick" sound along with warm, sizzling undertones that carry over when played open. They also deliver with a cutting response when played with the foot. 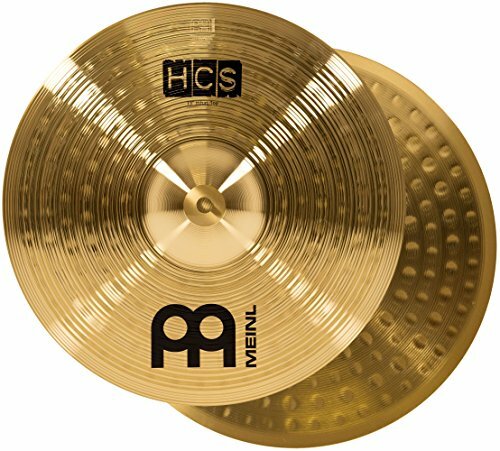 The Meinl HCS brass alloy hihats have gained immense popularity due to their versatility, durability, and outstanding sound quality. DESIGNED FOR BEGINNERS AND STUDENTS: Meinl HCS cymbals are designed for beginner and student musicians using a durable brass alloy that maintains its tone while holding up to the brunt of drum sticks. These cymbals are recommended for any style of music a beginner may be getting into while exploring their sound. The Meinl HCS13h is a very well- built and solid hi-hat cymbal, coming from a company that has been delivering amazing drum gear for quite some time. As the model suggests, this is a 13-inch hi-hat cymbal, offering crisp and warm sizzling overtones. Meinl guarantees that this model is extra durable, making it perfect for beginners as well as more aggressive drummers. This cymbal features a wide range of frequencies, making it a very versatile drum kit piece. No matter what the genre may be, the HCS13H is bound to satisfy any drummer. 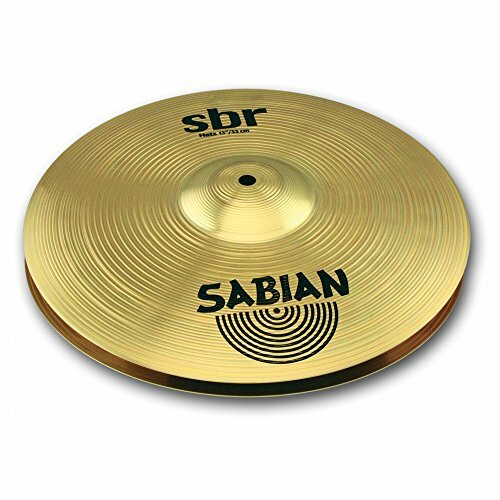 Another great company in the world of drums, Sabian, presents the SBR1302 as one of their best sounding yet affordable hi-hat cymbal solutions. This 13-inch cymbal is made of pure brass, giving it that extra shine and increased durability as well. When played closed, it sounds very tight and snappy. 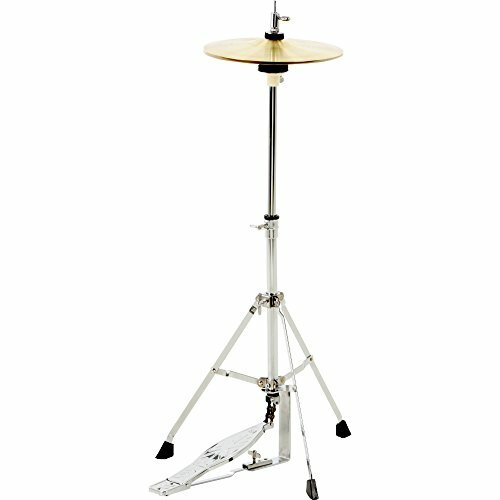 When open, it provides the drummer with very loud, yet balanced and full sound. Though this model is a part of Sabian’s least expensive cymbal line, it’s one of the best ones you can get at this price point of around $60. Bright, tonally focused hats are the real deal! If the previously mentioned model doesn’t seem good enough, take a closer look at the B8 Pro. 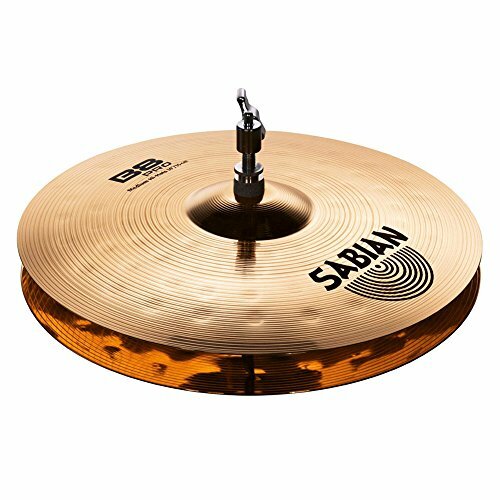 Sabian implemented their uni- rolled bronze manufacturing technique in this model in order to get a lightweight yet durable hi-hat cymbal. The sound it delivers is noticeably cleaner than the previous model, with a tight and focuses “chick” when closed, and a rich and loud sound when played open. The improved bell design and larger hammering pattern make this a very versatile cymbal, suitable for anything from jazz to heavy metal. Sure, it is way more expensive than the SBR1302, but for around $150, it doesn’t get better than the B8 Pro by Sabian. And finally, at number 5, something for the more advanced drummers, looking to spice up their game. 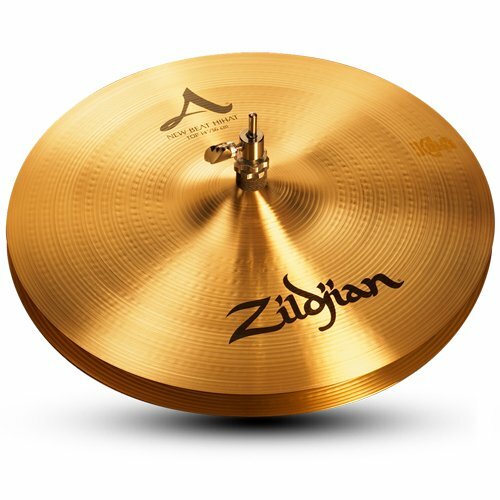 Zildjian has always been known as a company that offers amazing quality, and the A Series New Beat hi-hat cymbal is certainly no exception. The 80/20 copper/tin ratio is used in order to maintain optimal vibration while still having a solid structural integrity. This means that this cymbal can resonate nicely without any cracks showing up anytime soon. The sound they produce can be described as right in the middle between too dark and too bright. Simply put, this hi-hat cymbal is way above the others we’ve mentioned. However, with a price tag of around $350, it’s not exactly fair to compare it with the 50- 200$ ones. If budget isn’t a factor, go for this masterpiece of a cymbal. As you can see, there is truly a wide range of different hi-hats out there. Now that you’ve read this article, it’s up to you to choose the best hi-hat for your needs. We hope you found this article helpful, and as always, thank you for reading!